Most Americans, Brits and Canadians are unlikely to purchase a 3D television any time soon, according to a recent Vision Critical poll. The online survey of representative national samples shows that a negligible number of respondents in each country currently own 3D TVs. Five per cent of Americans, two per cent of Brits and only one per cent of Canadians have a 3D television at home. However, despite limited intent to purchase, awareness of 3D TV is strong in all three countries—at least four-in- five respondents in the U.S. (81 per cent), Britain (also 81 per cent) and Canada (84 per cent) have heard of household consumer 3D television. Based on a short description, 81 per cent of American respondents said they probably or definitely would not purchase a 3D TV in the next six months. 95 per cent of Canadians responded that they would “probably” or “definitely” not purchase a 3D television in the next six months. A vast proportion of those (71 per cent) fall into the “definitely would not buy” category. Respondents in British Columbia are the least likely to purchase a 3D TV (98 per cent will not) while those in Ontario are more open to the technology (5 per cent might). Four-in-five Brits (81 per cent) will not purchase a 3D TV in the next six months. 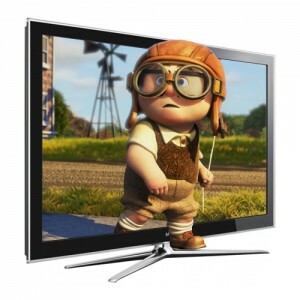 Across all three countries, the main reason cited for not planning to buy a 3D television is the high price tag. In Britain, two-in-five respondents (42 per cent) think 3D TVs are too expensive, a sentiment shared by 39 per cent of Americans and 32 per cent of Canadians. Also, 31 per cent of Brits, 28 per cent of Canadians and 26 per cent of Americans feel it is inconvenient to wear the required 3D glasses at home.